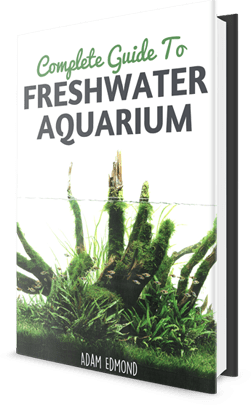 Aquarists are faced with a lot of difficult decisions, from the choice of fish tank size to the arrangement of the plants, rocks, and driftwood around the tank, to the fish that get to live there. The most difficult decision that one ever has to make as an aquarist, however is the decision to euthanize one’s fish. If you’re reading this, chances are that your fish might be suffering from a disease that it can no longer recover from, or that your fish has simply lived its best years and is now succumbing to its old age. In any case, before learning how to euthanize a fish, one must first be able to distinguish when a fish should and shouldn’t be euthanized. The most powerful fish killer is stress. Even the hardiest species of fish will succumb to prolonged exposure to stressful tank conditions. That being said, fish are often considered for euthanasia are ones that, due to prolonged stress, have stopped trying to eat and therefore have little-to-no hope of recovery. If the loss of appetite comes with the loss of the ability to swim properly, then the fish is almost always too far gone to save; it no longer is a question of whether or not it’s worth the effort of saving, but a question of how one should go about euthanizing it quickly and humanely. 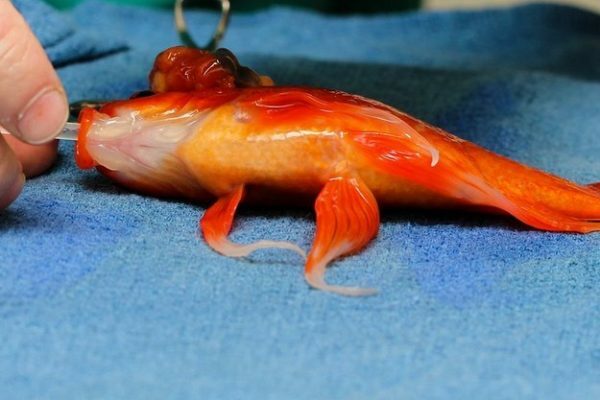 Some of concrete examples of cases wherein euthanasia is a good option is if there’s visible mechanical damage to the fish that you may no longer be able to accommodate, causing the fish to be unable to eat or swim. This can include the fish physically not being able to open its mouth, or the fish being paralyzed from the head down. Untreatable contagious diseases are probably the best reasons to consider euthanizing your fish, as sickness in such a small, confined space could easily spread to other healthy inhabitants. One of the most common diseases that has caused a lot of owners to consider euthanasia for their fish is the infamous dropsy. Dropsy, for a long time, has been known to kill a lot of fish that live under stressful tank conditions. Dropsy causes the scales of the fish to stick out, giving the fish a pinecone appearance. It’s painful to the fish, and in the past, has been impossible to cure and was almost always a death sentence. Today, however, with a wide variety of antibacterial medications available, as well as epsom salt, fish that have dropsy now have a chance of having a full recovery! Most of the causes of stress in the home aquarium can now be easily fixed with proper aquarium husbandry, topnotch equipment, and the right medications. Clove oil is probably one of the most popular tools for euthanizing smaller fish, as it is readily available and easy to use. 500mg of clove oil can quickly cause a painless death to troubled fish. Simply mix it with a bit of warm water, then mix it slowly with the water and fish. If your container is small, you may even place it in your freezer to help your fish lose consciousness faster and die from hypoxia. To be sure, let your fish stay in the solution for at least 15 minutes. Larger, more active fish can be euthanized safely and painlessly by administering an overdose of anesthetic. Take note, however, that vets are the ones who can legally carry this out, as the anesthetics needed for this cannot be purchased publicly. Probably the least recommended method is to kill your fish by swiftly cutting off their heads after stunning them. Do note, however, that without experience, this can lead to a painful and messy death for the fish. This only applies for fish that aren’t dying due to a contagious disease. If you’re culling or getting rid of a fish that no longer has a home to go to, you can find someone who keeps a predatory fish and use that fish as a feeder fish. After learning how to euthanize a fish, it’s also important to know how to make sure that a fish is truly dead before throwing it away, otherwise it ruins the point of humanely killing the fish since you’ve just caused it to suffocate to death. The safest way to be sure is to check the gills for movement. No gill movement for at least 15 minutes means that it’s safe to dispose of your fish. Knowing how to euthanize a fish is just a small part of the equation. The most important thing to know as an aquarist is how to properly care for your fish so that you won’t need to euthanize them anytime soon. Should the time come for your fish to rest, you now have the peace in your mind knowing that you’ve done all that you could to make sure that your fish lived a long, healthy, and happy life.